Summer’s around the corner, and in parts of the country temperature records are already being set. Of course, we can manage, thanks to thermostatically-controlled air conditioning in every building and car. 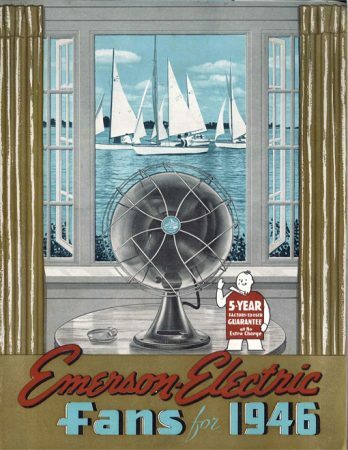 Yes, you can still buy a room fan today, usually of remarkably lightweight plastic. 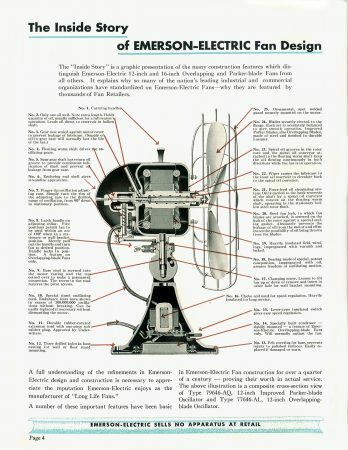 The blades won’t slice your fingers off like the old fans threatened to. (If you buy a Dyson fans, there seem to be no blades at all). Still, there’s something classic about these older fans, imposing in their black heavyweight metal enclosures, which commands respects and turns some people into collectors… and, well… fans. 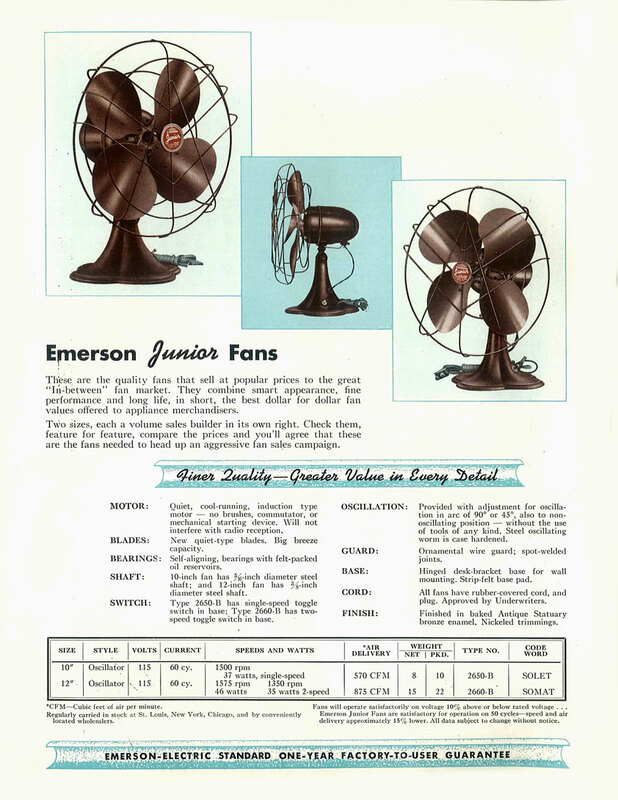 By the time this catalog was printed, Emerson had been selling electric fans for 54 years. Their first electric fans, from 1892, were in fact the first electric fans in the US. 72 years on, Emerson is STILL selling fans – ceiling fans these days – along with a wealth of other technology for home and business automation.